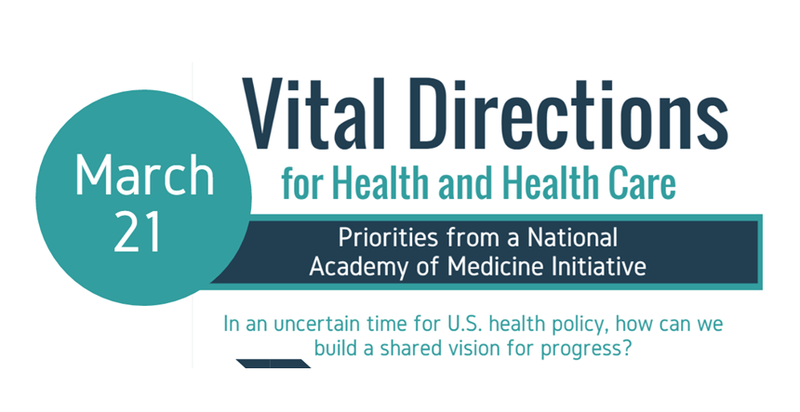 The National Academy of Medicine’s Vital Directions for Health and Health Care Initiative has called on more than 150 leading experts across the country to assemble evidence-based strategies for advancing health and health care under the new presidential administration. On March 21, 2017, the NAM will release the conclusive final paper in the Vital Directions series, authored by the initiative’s steering committee, which outlines key priorities for action and essential infrastructure needs. 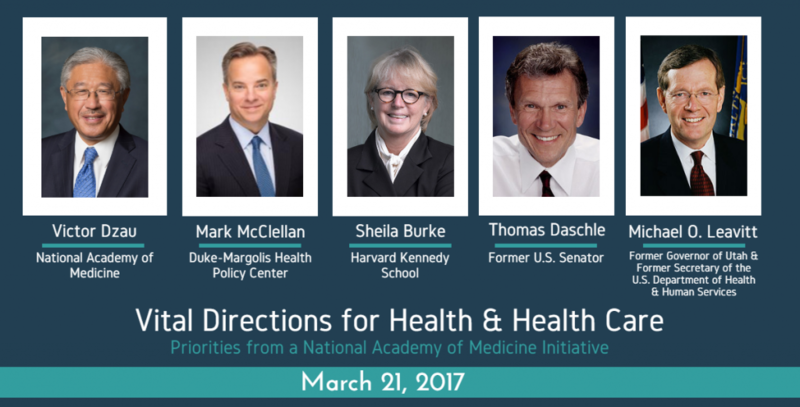 Please join us for an interactive discussion that transcends the policy debate and restores needed focus on fundamental principles for advancing health, health care, and scientific progress. Live video webcast is available.